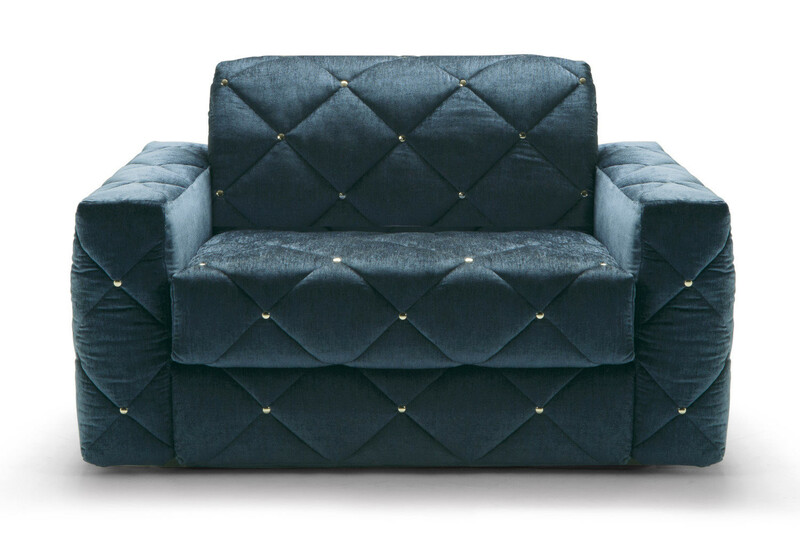 Douglas is a made in Italy quilted velvet armchair with tufted effect. 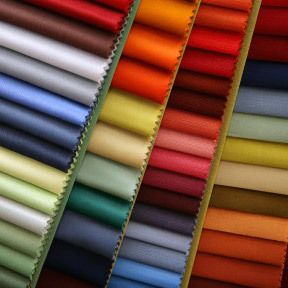 Also in leather, eco-leather or fabric. Optional decorative buttons and Swarovsky cushion. Douglas is a quilted velvet armchair with a tufted effect, decorated with burnished or nickel-plated buttons. 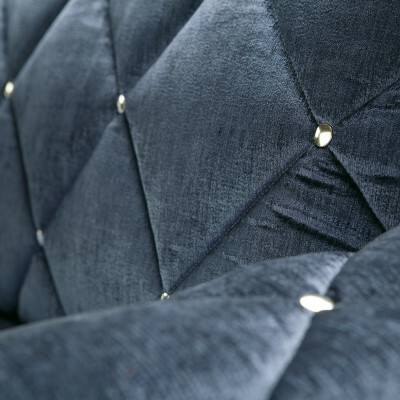 These metal buttons gives it a retrò style, enhancing the look and value of this furniture item that can become even more luxurious thanks to an optional Swarovski cushion. With its large armrests, wide seat, thick padding and medium-high backrest, Douglas is the perfect solution for spacious sitting rooms. Its look changes according to the material chosen. 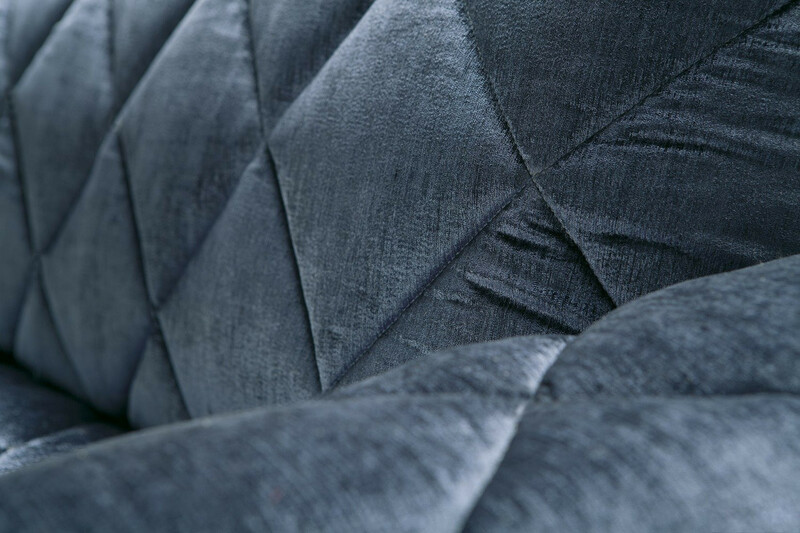 Those who like a velvet armchair, can opt for the cover shown in the photo gallery, otherwise you can choose leathers, eco-leathers and fabrics available in several colours, all displayed in the Milano Bedding samples page. Thanks to the wide range of finishes available, Douglas is the perfect armchair for many different houses. Ideal in modern homes, it is also perfect for refined and exclusive sitting rooms, it looks good in contemporary houses, and it is the right choice for environments with a more classic touch. Douglas armchair by Milano Bedding is available in fabric, eco-leather and leather in a wide range of colours displayed in the samples page. The cover is removable. Douglas is available in a quilted smooth version or quilted with nickel-plated or burnished buttons. Dry-cleaning only is recommended. In any case follow the specifics of every cover.